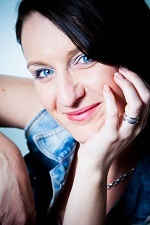 Talita is a passionate teacher, integrative colon hydrotherapist and an engaging health consultant. She deals with each client as a whole. Her priorities are to understand each client’s needs and expectations, to treat the person as an individual and to ensure they leave Kent Detox Clinic empowered, cleansed, educated and in control of the choices they make about their health. Talita is partnered with various health professionals, clinics and alternative health centres and practitioners and she is also affiliated to RICTAT. She passionately talks and blogs on the topics of digestive health, preventative care, health promotion through education and understanding allergies & intolerances as the barriers to optimal wellbeing. She also supports Bowel Cancer UK in the South East and campaign for the save use of all therapies. Talita encourages partnerships between therapists and only endorse therapies and therapists that she has an established and trusted relationship with.